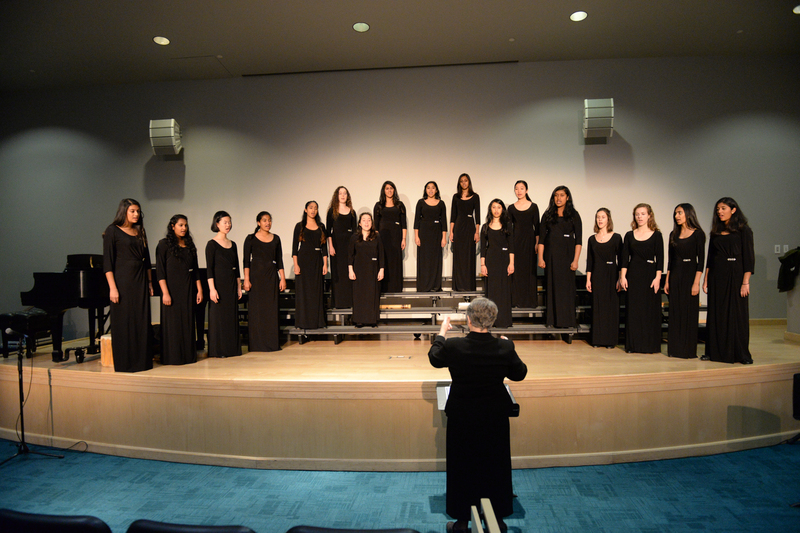 “I Dream a World,” this year’s upper school fall vocal concert, brought the campus’s five choral groups together for a night that largely celebrated the music of North America and its multicultural traditions. The always-entertaining boys choir Guys’ Gig took the stage for a cappella performances of the Kelly Clarkson smash “Since U Been Gone” followed by “Up on the Roof,” made famous by doo-wop legends The Drifters. Closing the evening were Cantilena, the women’s vocal group directed by Susan Nace, who delivered a rousing five-song set that included the traditional “Run Children Run,” the Iroquois soundscape “Watane” and Sue Johnson’s “Sister My Sister,” which included solos and duets highlighting the talents of every member of the group.